How many people do you know who use no form of social media? Less than five? According to a Sensis 2015 report, 49% of Australians use social media every single day. This level of usage translates to millions of eyeballs on screens, seven days a week. With the rate of people watching television and reading newspapers plummeting, consider utilising brand storytelling as part of your social media strategy. This technique allows a brand to utilise their own story (or alternatively their customers’ stories) to create an emotive, empathetic link between their business and the public. As per SEO Services Brisbane , rather than throwing out a wide (and largely inefficient) net, social media advertising allows your business to target your desired demographic – people most likely to buy your product or service. By utilising invaluable information on users’ behaviours and interests, your campaigns can be tailored towards specific age groups, genders and lifestyles that are best served by your product or service, while still reaching the widest potential audience. For instance, Facebook pixel allows you to re-target those who visited your site in the past. 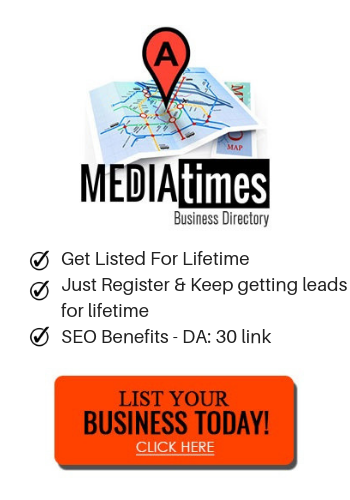 You can show your ads to these highly targeted audience. Appealing directly to this group of social media users also vastly increases the chances they’ll engage in your campaign and respond to your call-to-action. The end result for you is drawing customers to your website, and achieving one of the most important (and sometimes elusive) parts of conducting business online – website clicks. Further, social advertising doesn’t just help you get the clicks, it can complete the entire process for you, from the moment the potential customer sees your Facebook ad, to when they click through to complete a purchase. The days when everyone kept a giant phone directory by a corded landline in the living room are well and truly over. In these modern times, when potential customers are looking for a specific product or service, they look online. While you can always go for Search Engine Optimisation experts to appear in Google search results, social media marketing is good to increase presence on social media. Users will turn to Facebook and Instagram for customer reviews and points of contact. If your business lacks a presence on those platforms, that sends a simple message – you’ll struggle to meet the demands of the modern customer. It’s vital therefore, to make sure your business has the resources to respond quickly to customers’ enquiries and feedback. An unanswered question creates a poor impression for other users. Further, don’t forget the power of a hashtag when it comes to drawing in potential customers. Discount codes and links to websites are also invaluable additions. Creating great blog posts and investing in ads are just the beginning. Once your social media is up and running, you have the ability to measure its effectiveness – see what’s working and what’s not. You also have the opportunity to adjust your targeted advertising – change targets, images, headlines, copy and refine your ads to get the best reaction. It’s not just all your potential customers who use social media, it’s your competitors too. If your business passes on the opportunity to reach social media’s billions of worldwide users, you’re automatically giving the edge to all the other providers in your field who are more than happy to service your potential clients. If you want your business to get its message across too however, don’t hesitate to make the most of the most powerful tool in modern marketing – social media. Tip: Social Media Examiner is a great site to learn social media marketing if you like to do it yourself. In short, social media is the number one tool your small business has to make sure it doesn’t fall behind the times. Use social media to grow your business today, and enjoy the opportunity to reach millions of new potential customers online.